To play this interrupt, you must command Mouth of the Wormhole and three non-Dissident personnel. Order - Unstop each of your stopped personnel. "Do you think it's easy for me to sit down with Dukat and Weyoun every day while they plot the destruction of the Federation?" 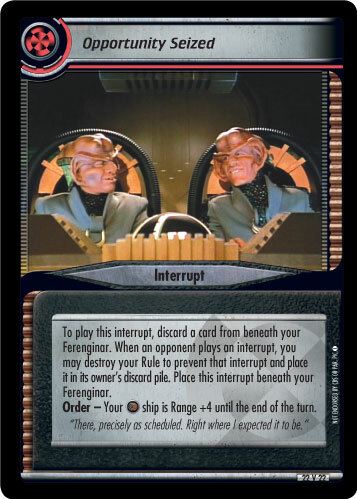 Errata'd on 2014-09-12: Ruling Council, as both a point engine and an unstopping mechanic, was severely hampering the design team in creating new rewards for the [TN] sub-affiliation. 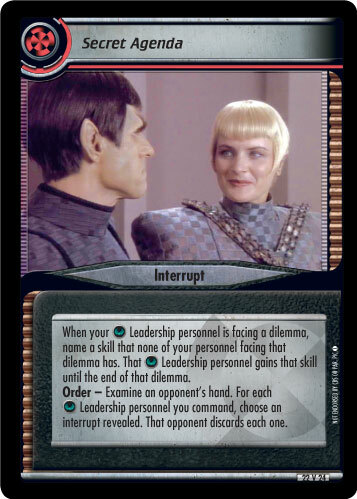 Design asked for errata for this card, and after testing it was proven the unstopping portion of the card was less restrictive than the point engine. 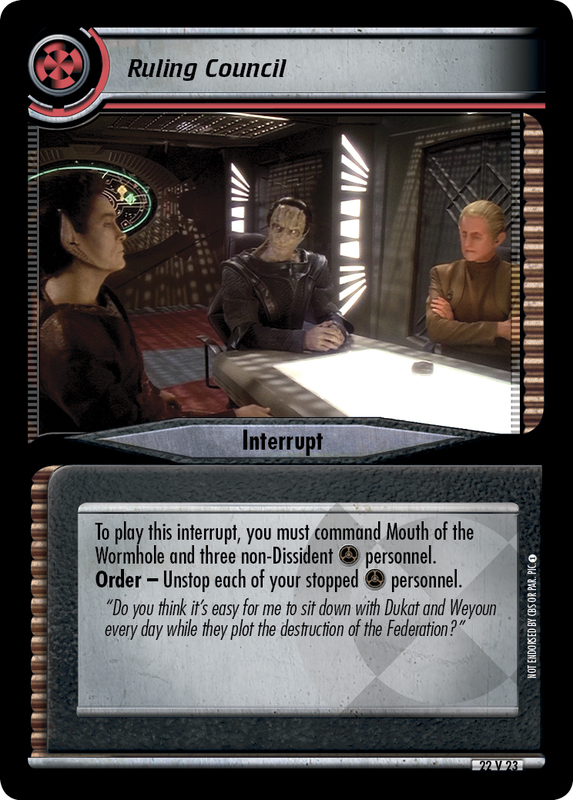 Image Source: Deep Space Nine: "Behind the Lines"